During the counting of votes in MCD polls on Wednesday, the Bhartiya Janata Party has emerged as clear winner. The Aam Aadmi Party and the Congress are fighting for second position in the MCD results. 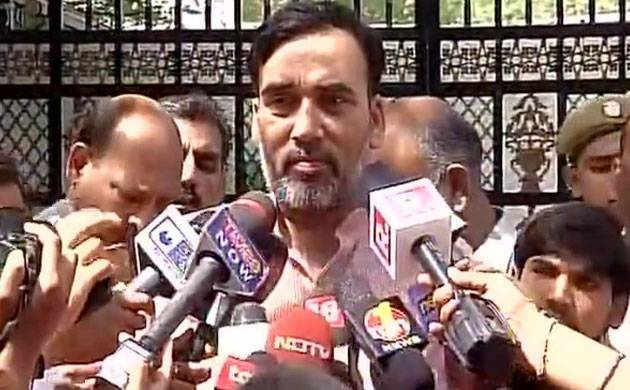 With the trends showing a certain loss of Aam Aadmi Party, its leader Gopal Rai attributed failure to the EVMs. Gopal said that this is not Modi wave but this is EVM wave. # Did not campaign because nobody asked me to do so. Election Commission and government should clear the air surrounding electronic voting machine. The losing party attribute failure to EVMs whereas winning affirms that EVMs are fine, said Congress leader Sheila Dikshit.